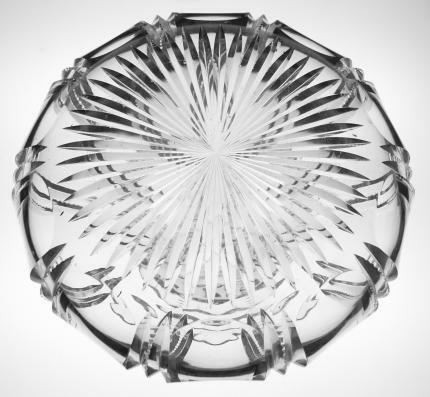 This flower center is cut in a flute and notched pattern by Libbey. It’s shown in their older, green catalog reprint. It’s signed with the Libbey-sabre trademark. 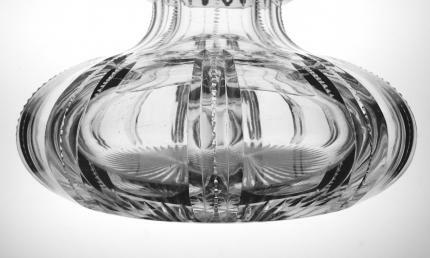 Pieces with clear work like this are stunning – the bands of brilliant cutting make it pop and highlight the clarity of the glass. The neck of the vase has a lapidary collar and the rim remains fluted. The base of the flower center is cut with a rayed star. 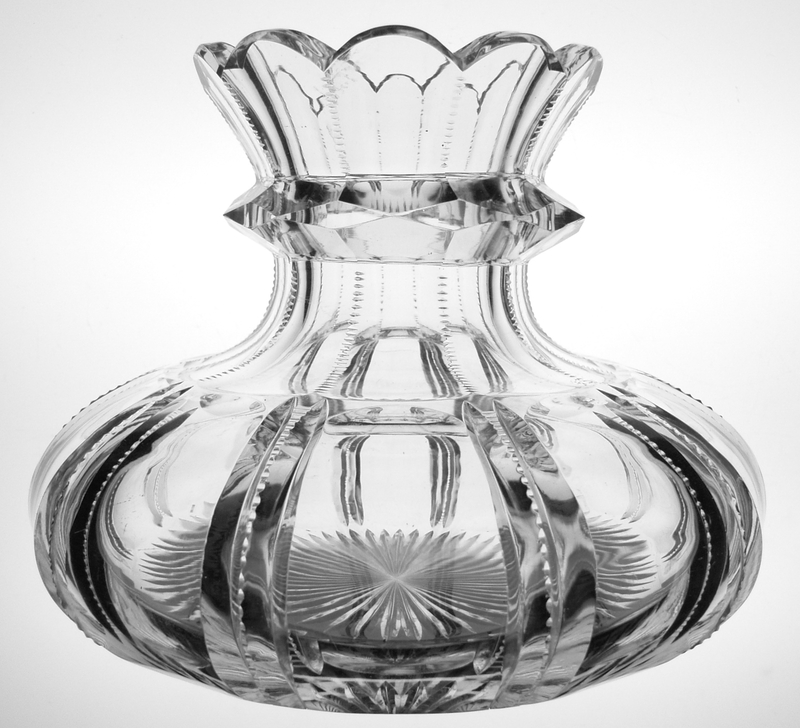 The vase is in excellent condition and measures 8″ wide and 6″ tall. The blank is stunningly clear and really shows what an elegant stylistic choice this piece is.